Ventura County Community College District Board of Trustees announced today the appointment of Dr. Greg Gillespie as chancellor. Gillespie, now president of Ventura College for nearly four years, brings more than 23 years of higher education experience to the position, including his current role in the District. 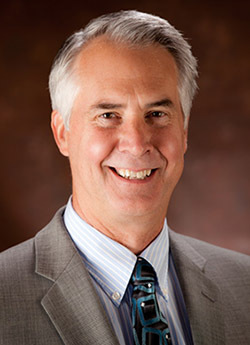 Prior to joining the District in 2013, Gillespie was vice president for instruction and student services at Yavapai College, Prescott, Arizona. He has held various positions including faculty, director, dean, vice president and president at community colleges in Arizona, California and Washington. The unanimous decision to select Gillespie was made after the trustees entered early negotiations with another candidate, but rescinded the offer quickly after further taking into consideration the best interest of the students and the community at large. “These searches are always a challenge, especially since selecting the right person to lead the three-college, 31,000-plus student district is such an important decision,” stated VCCCD Board Chair Bernardo Perez. “The Board worked cohesively to reach an agreement, however, and we are pleased with our decision to appoint Dr. Gillespie in the position of Chancellor,” added Perez. Gillespie earned a Doctor of Philosophy and Master of Science in Agronomy (Crop Science) from North Dakota State University. He attended Yakima Valley Community College and then transferred and received a Bachelor of Science in Agronomy from Washington State University. He conducted agricultural research in the public and private sectors for ten years prior to beginning community college work as an agriculture faculty member. Gillespie grew up near Yakima, Washington. He and his wife Kristin live in Ventura. The Ventura County Community College District is a member of the 113-campus California Community College system, and serves more than 31,000 students annually. The District’s three colleges- Moorpark, Oxnard, and Ventura- offer programs in general education for degrees and certificates, transfer to fouryear colleges and universities, career technical education, and provide opportunities to engage in cocurricular campus activities. For more information, please visit www.vcccd.edu.